The 280E section of the federal tax code has been the bane of law-abiding cannabis businesses for years because it typically results in plant-touching companies paying enormous tax bills to the IRS. But that could change, perhaps even this year, if Congress passes the Small Business Tax Equity Act. House Resolution 1810 – a bill being spearheaded by U.S. Rep. Carlos Curbelo, a Florida Republican – would exempt state-licensed marijuana companies from 280E, effectively repealing it for MJ businesses that are fully compliant with their states’ laws. The bill has garnered 33 co-sponsors since its introduction earlier this year – including Curbelo and 11 other Republicans – which illustrates how far into mainstream politics cannabis reform has moved. However, there’s been talk among cannabis advocates in Washington DC that Curbelo’s bill could be wrapped into a larger tax reform package by Republican leadership in Congress, giving the proposal a better chance of becoming law. 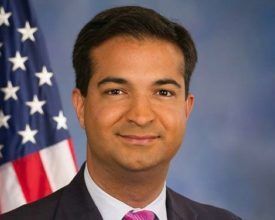 Marijuana Business Daily recently had an opportunity to ask Curbelo for an update on his bill’s status as well as the Rohrabacher-Blumenauer Amendment. Why did you introduce H.R. 1810 since you’re not known as a major proponent of cannabis reform? When I got on the (House) Ways and Means Committee, I became very sensitive to all issues related to tax, and one of my big goals – and I think for most people in the Congress – is for the tax system to be fair across the board and treat every American and every American business fairly. And (280E) stood out as a strange and unjustifiable inequity in the tax code. So I joined forces with (U.S. Rep.) Earl Blumenauer (D-Oregon) … and we decided to put forward this simple proposal. What’s happening with the bill? Word is it might be included in the GOP tax reform package this year. Our goal has been to grow the list of co-sponsors, and we’ve been successful. That tends to be a slow process usually. But the stronger we make the legislation by adding co-sponsors, the more likely it is that it could be included in this package or less ambitious tax packages in the future. I’ve heard speculation that something akin to HR 1810 could pass, with the trade-off for the loss of federal revenue being a new tax on marijuana product sales. Is that on the table? All of these ideas have been circulating. It’s very early in the process of developing this massive tax reform package. We know that once it gets filed, many will be introducing amendments to it. We know that once it moves out of the House, it’ll continue evolving in the Senate. So there are multiple stops at which provisions such as this one, and others, could be included. Obviously, in the Senate, if this becomes a bipartisan exercise – which is a strong possibility – that improves the chances of this being included. As far as I’m concerned, the most important thing I can do … (is) show there is significant bipartisan support for treating these small businesses operating legally and with licenses all over the country in a manner that’s fair and equitable. Do you think H.R. 1810 has a better chance of passing as a stand-alone bill or as part of a larger tax reform package? Most bills in the Congress have a better chance at passing as part of a broader package. There’s limited time in the Congress, and stand-alone bills always tend to face tougher odds. So anytime you can include something in a broader package, that’s usually preferable. Any way you could put some sort of odds on H.R. 1810 passing, either on its own or as part of a package? It’s too early to tell, but there are people on both sides of the aisle in both chambers that strongly believe this is important legislation. We have the support of outside organizations, like Americans for Tax Reform, which is the most influential tax organization in the country. This is not marijuana legislation. This is tax legislation. And members on both sides of the aisle should support it. What are the political and logistical obstacles to a bill like H.R. 1810 passing? I think a lot of members of Congress don’t understand the (cannabis) industry, that it’s a sophisticated industry, with legitimate businesspeople trying to employ others and responsibly participate in this business activity. I think a lot of members, when they think about cannabis, have a 1980s or 1990s mentality, and the fact is, all these businesses are highly regulated, they go to great lengths to control the substance and make sure that only those who are allowed to have access to it do and that they use it responsibly. 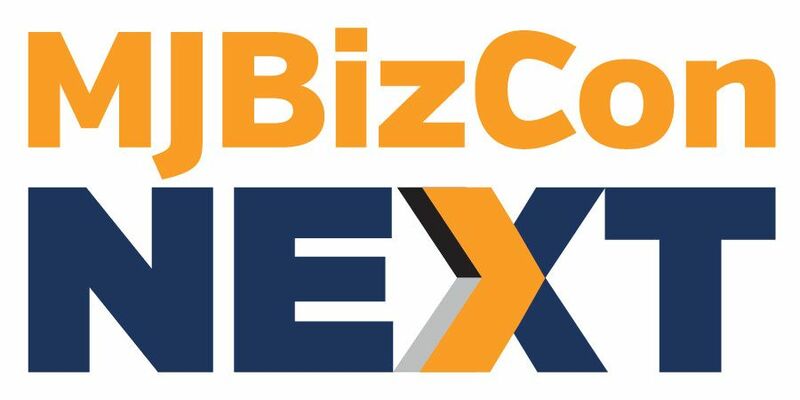 So I think the greatest challenge is the education that needs to take place, and those of us who are trying to advance this are doing a lot of one-on-one meetings and encouraging colleagues to meet with these small business owners, to visit them at their locations throughout the country so they can see for themselves. This is the best chance we have at putting the criminal organizations and the gangs that operate in the black market out of business. And that’s another major goal here. What about the extension of the Rohrabacher-Blumenauer Amendment as part of the federal budget? Do you expect that will be renewed before it expires in December? I’m very confident it will again be part of any spending package passed by Congress, likely in December. There’s strong bipartisan support in both chambers for it. I thought the House Rules Committee made a major mistake by denying the House a vote on an amendment that has passed for several years now. But given there is evidence that it has broad support in the House, I am confident the Senate version of the appropriations bill, (which) includes this language, will prevail. Something that I’ve been telling people is that the best allies – unwitting allies – of the gangs and criminal organizations that depend on marijuana for revenue are those members of Congress who continue giving those same gangs and criminal organizations an advantage over the responsible, ethical, legal, licensed small business owners across this country who are trying to do the right thing. IT’S YOUR OLD BUDDY RON CHAMBERLAIN AGAIN ASKING WHAT ABOUT ALL THE MARIJUANA LAW VICTIMS? THESE PEOPLE ARE WHAT MADE THE MARKET THAT YOU ALL ARE GETTING RICH IN. ISN’T IT KIND OF MORALLY BANKRUPT TO STEP ON THE RUINED LIVES OF ALL THESE PIONEERS ON THE WAY TO YOUR RICHES? CALL ME I CAN GET THE FEDERAL LAW OVERTURNED, RECORDS EXPUNGED AND FINANCIAL COMPENSATION FOR THE VICTIMS AND FREE UP THE CANNABIS HEMP BUSINESS TO SHOOT THE MOON WITH THE FEDERAL GOVERNMENT OFF OF IT;S BACK. CALL ME 602 373 1847, LETS TALK ! Would 280E also be applied to Laboratories?